DO-OVER! I think I said this 1,000 times as a kid. I have wanted to say it 1,000 more as an adult. Shoulda, Woulda, Coulda is another often wished sentiment. In Golf, they call it a Mulligan. Who hasn’t wondered, “What If I had done this differently? Where would I be now, if only I did ‘this thing’ differently? If I said No instead of Yes? Or if had said Yes instead of No? If I hadn’t said something to someone? Or if I only would have said something would to someone?” I know that starting this thought process can be a slippery slope. But I often wonder what IS meant to be, and what is not? What one event was the impetus? Or was it just one? Or Was it just meant to be? In Israel, I learned the word Beshart – which roughly translated means it’s meant to be! Or it’s Fate. I have trouble with that word sometimes. I have had cancer twice. Was that meant to be? Was that fate? No, I don’t believe so, but I do think it changed my path – whatever the direction it was originally veering towards. I have moments of Why Me? And Why me Twice? I have moments where I just think it wasn’t fair (not a lot of moments but I do have them). It isn’t anybody’s fault; not mine, not my parents, or grandparents, not anybody’s…I just drew the straw – Twice! I have moments where I wear my illness like a Purple Heart, and I have moments when I just feel pride in what I have overcome and Joy in knowing how capable I am, even more than I ever thought possible; and proud of me for surviving cancer – twice and not letting that be the only layer I show. Weird right? I am not sure I can say how my life would be different (other than knowing my Dr. bills wouldn’t be what they are, and not having to see 9 different Dr.’s on a regular basis.). I just know that it would be different, and I would be different. This is not a boohoo woe is me kind of statement. Or “a look how great I am because I survived” statement. Just a truth, that sometimes pops in my head for no reason or just because it is a cloudy day and, like some many of us, I could just be having a bad day! I am a happy, upbeat, and positive person 90% of the time, though I am in the 10% of the time presently. It just happens. So when it does, I begin to think about the what if’s. In my immediate circle, I get to see what the what if’s could be like. It is a very nice way to be in life, but guess what! The what if’s also have their own 10% moments. I have come to learn that all sides side in my life have a happy and upbeat side and a dollop of not always so upbeat or so happy. The Lesson, Nothing in life is 100%, except the 100% certainty that nothing is 100%. Anyway back to my mood lately. I have mentioned that I am trying to go back to work. Trying being the keyword at the moment. It is very different from when I was in the workforce. Anyway, after applying for over 500 jobs (mostly through Indeed.com), 95% of which are jobs I am totally qualified for. I am an intelligent, well-educated person, skilled, creative, solution-focused and frankly, a great hire. I have an exceptional ability to interact with people in a great many situations and yet all of my skills don’t seem worthy to present day employers — or, actually, the algorithms used to determine hire-ability have deemed me unworthy. A cyber-recruiter has deemed me “not useful”. A long line of computer coding has calculated the value of my skills at zero. So I began to question some of the choices I have made along the way to here. Questions like: Keep working or stay at home with my kids? Live in small cramped quarters or move out of NYC and commute? Go back to school and get an MBA or Try something new like a Master’s in School Counseling? Focus on present day or worry that in the year 2018 your skills will not be transferrable? I love my husband, and my kids and my life and they are never part of my Do-Over or my Woulda, Shoulda, Coulda. My friends are not changeable either! They are my rocks – always and forever there for support, laughter, strength, and Wine – oh yes plenty of wine! I guess today I would just like the opportunity to go back and look at each pivotal decision I have made — and see if I would change my decision and see if ti would change who and how I am today. And I have to be honest, even if I did get the chance to do it over, it doesn’t mean the outcome would be “better” or “worse”, it would just be different! Writing this blog is really my Do-Over. To all of you that follow, thank you for letting me fantasize about the would be’s, about the should be’s, and about the what could be’s. Because maybe even if I did change something and was in another place, I may still be writing a blog and asking about the chance for a Do-Over! You get a Do-Over Tomorrow. We are a family of 4, and our schedules do not intersect so often. Well not at all during the year – my twins are away at college. Luckily, for Scott and I, He and She ended up at the same university…so move-in, move-out, and vacations are aligned. But during the summer – it is amazing how difficult it is to find time to be together. So I insist on Sunday Dinner! It is not, always, what I hope it to be. The 1st time it was a struggle to get the phones either turned off or at least put-away. It was difficult to get the conversation started because they feel unsettled being disconnected. TOO BAD!!!! But once the conversation gets start3ed, it flows well. We talk about school and next year, we talk about local events, and we talk about family. My husband and I try to get some “life lesson” into the conversation, but it is often met with eyes a-rollin’ or “gasps of “I know Ma!” (Yes I am often the focus of annoyed-ness)! In the upcoming weeks, we have much to talk to the kids about, not good nor bad just important and discussion worthy. And we don’t want to throw it all out on the table at once. For somethings will get lost in the pile. So creating the weekly narrative is important. I never realized how important that is in personal dealings. I get the importance in business – but now I see the personal side as well. I have a job interview this week. It is for a position I am truly excited about, a position I believe I am well suited for, and a position in which I have already put tremendous thought into the best ways to become a beneficial, positive and valuable asset. That research has to lead me to read and listen to innovators of today! Individuals who are leading the way to create a better future — while they may concentrate on the business model, I am trying to adapt it to a personal model as well! My first goal at home is to try to be an inspirational Mom – not just an informational one. In other words, Don’t just tell them what to do, teach them how to do it well and why that is important. Today it is about cleaning your room, studying (they are both taking a summer class at WCC. (Different classes, not the same one), going to the gym (or any physical activity, because they need to get rid of the SPILKAHS! That is the condition that causes them to be antsy, annoying and distracted 🤣 . But I need to do the same. So I clean; so the kids feel happy at home. And I go to the gym (which I hate to do), because I am trying to become the best version of myself. And I study (often, but presently for this particular position) because I believe when you speak without being informed I am not showing the best version of myself. I understand the other side of wellness – so it is a something I may overemphasize to my kids (or so they tell me). I don’t believe my kids fully understand the connection between Healthy, Wealthy and Wise! (and wealthy doesn’t mean monetarily). Health and Wellness can, in turn, bring Happiness and Fulfillment. As a 2x cancer survivor I believe I have a unique perspective on the why’s of what I do and why I want to do it. I do not always complete these tasks successfully, but I don’t give up trying. I am lucky that in my life and in my family I am surrounded by some pretty extraordinary examples of inspirational people – in business, in spouses and children, in motherhood, in parenting, in brotherly friendship, in best friends – both old and new – and in influencers along the way. Each one has helped me to make my mark and helped me promote what is important to me every day! Family, friends, and community! This is my Why! This is Who I am! And, last but never least, this is what I Want to say – first to my children, and to others who care to listen! We, as parents, are here to lead, we are here to follow, we are here because we love you, and we are here because we believe in you and all that you have to offer! We here to annoy you, school you and, sometimes, discipline you. But MOSTLY, we are here to help you become the best you, you can become!!!! We want to let you be you, but first be you as part of us at Sunday Dinner. We live in interesting times. People are divided on a lot of issues. People are divided on who or what to believe in; and about what our immediate future will bring. Good people seem to be Not so good, and some not so good people seem to be doing some things that are working out to be somewhat good (for the moment)! It is no longer “Orange is the New Black,” it is now “Uncertainty is the New Normal.” And this can make us feel like there may be some Dark times ahead. So I am here to flip the switch on all of that! Shed some light on things we can do! Weigh all of our options. Every day I turn on the news – and every day, someone I believed was an “admirable role model” is then bathed in the dirt of subcutaneous “dickery”. Take Matt Lauer (I admired his on-camera persona), Take Kevin Spacey (I admired his talent), Take Eric Schneiderman (I admired his message). Yet they have all shown me that I didn’t see the whole picture. Yes, some have said you can still admire those things in them – but can you? Being admirable should be a whole body experience – not just a segmented thing. Can you be admirable one day and abominable the next! I mean even Jekyll and Hyde the musical couldn’t sustain that dichotomy! Is this the true struggle between ego and superego? Are we the sum of our parts? Unfortunately, I don’t think Mr. Schneiderman is the last abuser of power that we will hear about; but his staunch advocacy for the #MeToo movement makes his betrayal that much more visceral. We all seem to be waiting for another shoe to drop. That is where we are all living today. We can not predict what our leaders will do next, we can not predict what the next political fallout will be, we can not predict what the markets will react to, we can not predict who will be the next to fall from grace, and we can’t predict how this is affecting us personally. Things seem to be upside-down, topsy-turvy or just totally out of whack. So what can we do! Well not to oversimplify, but we can look to for the lightness, the joy, the simple pleasures in all other areas of our day to day life. We can look to the light; because I wholeheartedly believe this ‘out of our purview’ life will ‘right’ itself soon enough. Me, I am looking forward to the summer. My kids are home from college, and we are a whole family for a while! Whole is good. Whole is complete and Whole has stability. Whole is tasty (whole grains, whole wheat, whole milk), Whole is fiscally better (Whole Life Insurance) and Whole is inclusive (the Whole Magilla, The Whole World, and The Whole Truth). Whole is also how you feel when you can experience and process a full range of emotions. Take them in, learn from them and then smile bright – you’ve got the Whole ‘whatever you want’ in your hands! I get it, it seems like a holistic approach. Maybe it is and maybe it’s not-and maybe there are some holes in my philosophy! Part of me is scared of the future, and part of me is ready for a change. And that is ok because some genius once said that “The Whole is greater than the sum of its parts.” So being whole will help Make Everything Great Again! The Whole is MEGA not maga! Well, what can I say? I started this blog in May of 2011. For many reasons. To tell the good the bad and everything in between. For those who are just starting to follow, here is my recap. So why now? What is it I want to talk about know? What is wrong? Let me dispell any health issues! I am healthy! I am not skinny, but I am not overweight either! I am, however, bored out of my mind. Not the reason I am writing this either. I am intelligent, funny, personable, reliable, intuitive, giving, relatable; all this and I have plenty of time on my hands. Jeez! Just looking at this I know what I prize I am! : 0. I made the decision it was time for me to go back to work. For many reasons; yes one is to keep me away from my refrigerator, but that is not in the top 10 reasons. I have so much experience to offer, but the first step is online now. I find it very difficult to show all that I am on the computer. HR people don’t even call back. It is definitely a challenge to present my 3 dimensionalities on a one-dimensional playing field. I laugh at these issues. I know I am a square peg trying to pixelate into a small screen, but I just want to be able to use my skills to help – in any way that is possible. I fear that on paper I seem unworthy. Or to worthy someone told me. Someone said to me once, “The problem is you are overqualified.” I laughed. She asked me why that is funny? My answer was, “Why wouldn’t you hire someone who has more than you need instead of hiring someone who has just enough of what you need?” I am 57 – I am not looking to climb the corporate ladder; unless I am climbing it with the person I work for. I am not looking for a career I am looking for a home….for the next 15 years at least….But, alas, I have had no luck so far. But like with cancer, I have no intention of giving up. I will find something. A day filled with Heartache, Gratitude and Thankful after our 3 activities today! YAD VASHEM! 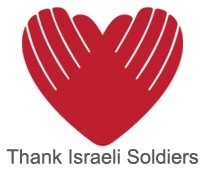 I believe that is enough said..
Next we brought gifts to the Soldiers. eWe told them how grateful we were for their efforts keeping us all secure and safe. They were 18 and 19…looking at them I realize they are not that much older than my children…A little surreal! Last was a visit to a home for Disadvantage children. Here though we saw happiness. These children have been saved from terrible home lives, and brought to this wonderful facility where they are cared for and loved…. Last night I was totally exhausted. After a raw and emotional day we ended it with a real spiritual and amazing event. I, along with 11 of my “Rockland” group sisters got Bat Mitzvahed. We have our city leaders Chaya, LEah and Betty to thank for that. It was moving and heartfelt! And truly connected us – even more so that we already felt….Last night was also the first time I got a more than 3 hours of sleep and that was my Bat Mitzvah gift to myself. Today, was really the opposite of yesterday in some ways. It was filled with real laughter and joy, and learning, and laughing again. Culminating in a Drum Circle under a tent! Okay I moved so quickly through today – sorry, let me backtrack. 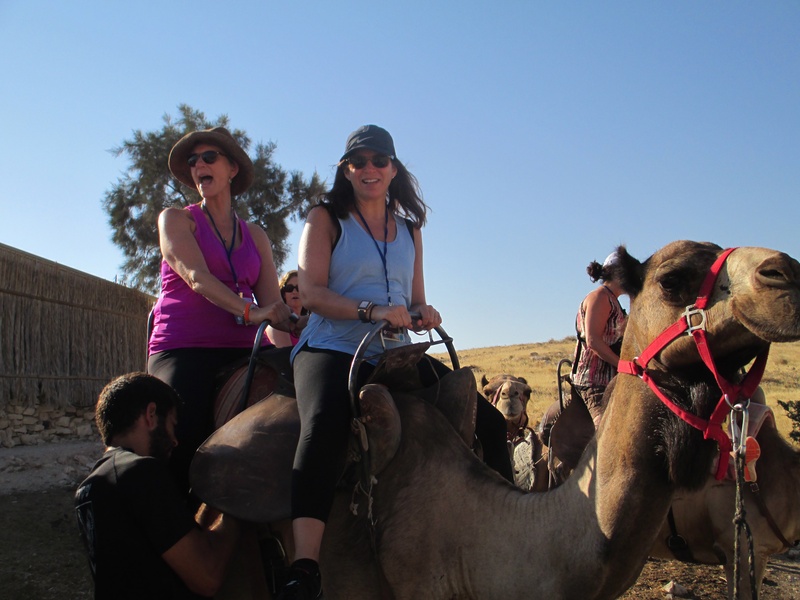 At 7 a.m. we boarded the buses and headed to the south to do some Camel Riding…Really we were a bunch of school girls laughing, and screaming at the experience. After receiving out camel-riding permits, we board the bus for some good old fashion mountain climbing. To the top of Masada we went (Truthfully it wsa close to 100 Degrees so we actually took the cable car) but even walking on top was hot. But seeing this place really was impressive. 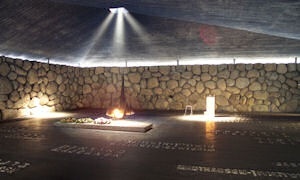 This is a place with true significance to the Israelie’s and to Jews. Pondering the question of how the Jews died on this Temple Mount? After Masada it was time for some good old fashion Mud Slinging…Well Dead Sea Mud that is. We went to the Dead Sea and floated around with mud covering us. The water was warmer than warm, salty and envigerating. Though getting cleaned up after that was not easy task. We then met all the other groups for dinner. An Israeli Bar-B-Que – Delicious by the way – and it all ended with us dancing and singing and just really enjoying each other. THis entire trip is a blessing and I have all of my sister’s on the trip and our leaders and the JWRP to thank for it….Transforming and growing….Yes I am! Today was a day of Raw emotion. Today we got the chance to visit the Aish Building. A magnificent structure perched just above the Kotel (The Western Wall). We started the day listening to Lori describe different kind of personalities…And Lori… I am pretty sure that I am a Bracha TOV.. I must admit that I thought I would not be as into all of these lectures (before I came on the trip)…But I have hung on every word so far..After our morning meeting, we were given an opportunity to meet women who have made the decision to move to Israel and raise their families here. The explained their reasons and told us about their lives and how “content they are” It was a lovely morning. But after lunch is when I felt like I peeled off all of my outer layers and exposed my raw emotions . And it came up on me without any warning. We walked from Aish to the Kotel. I had a bag of notes to stick into the cracks…which were already dripping with notes. But luckily I found some spaces to place them. Then I placed my hand on the wall, and thought. Thought about my Dad, about my sister-in-law, about friends and family….and from deep down, the tears began to fall. They were not sad tears…The were tears of enlightenment! Not Shiedel and long skirt forever type of enlightenment…But “Wow” I really do feel connected to somehting….kind of enlightenment. And it was awesome. For all of you that know me, “a lack of words is not something I have ever suffered from. Frankly, I once had a larynx issue and went to a specialist. After observing my vocal chords he had this to say. “Well you have nodes, and they can be caused by 2 things…the first is you talk to much….” At that point I said “Stop right there…no need to go further – that is true!” So when at the end of my second I realized I don’t know if I had the words to describe what I am feeling and what I am experiencing, but because I am a talker…I will give it a whirl! Today was a totally enthralling day! And I don’t even think that that does it justice. After a few hours of much needed sleep, we awoke, had breakfast, and went to our first morning meeting! We started by listening to Lori Palatnik talk about marriage. She regaled us with stories that explained ( and joked) about the importance the marriage relationship played in the “jewish religion,” What can I say — who knew! But certainly has given me plenty of food for thought…Let me just say…I will be wearing more lipstick in the future…Lori, My husband says thank you; and he doesn’t even know why yet! Next we were off to the mystical city of Tsfat. It is where the study of Kaballah was started. 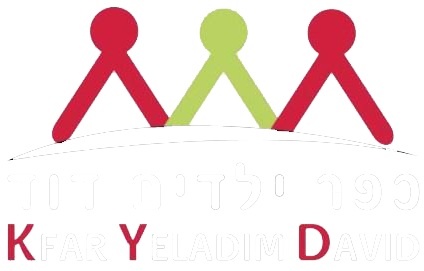 We had the opportunity to visit a synagogue and shopping,. But the most moving part of the day came from a visit that surprised me! We got the chance to visit the Tsfat MIkvah! Who would have known how moving this could be! They explained away what and why a mikkvah is so important, and that was great. But it was when we got a demonstration from Susan that I felt the importance. She did her schpiel and then we were all supposed to say a prayer and pray for renewal…I prayed for my sister-in-law (Robin) , I prayed for happiness for everyone I know and I just prayed for the ability to take some of this into my heart! And the most shocking reaction…after I prayed I cried…I believe it was sheer joy of connecting to the moment, but what ever it was…I was touched. The evening ended at the ADIR Winery. We sat with people we didn’t know, to force use to meet others. This was a lovely idea. I met people from Boston, Indianapolis, Columbus, Norfolk, Rochester and New Jersey. We shared stories about what got us here! At the end of the day I was all to aware that the message her is..”We women, we have the power to help change our lives and maybe (if lucky) even our world….Simply by trying to create a “greater home life” I for one am willing to give it a try! aToday was a day filled with unimaginable beauty, history, delicacies, bonding and Sorrow. But in the end 200 MOm’s stood arm in arm singing and feeling for the three Mom’s who today learned the worst news. But we stood together, and acknowledged that together we stand and hopefully together we can affect change. Change as Lori Palatnik said will raise us up and make us better…and don’t we all want that! Today began (well that is taking poetic license) with a trip to the Mediterreanean Sea, were we got the chance to “put our toes in the water!” The setting amidst ancient ruins of aqueducts, teased us with blue waters and white sand beaches. 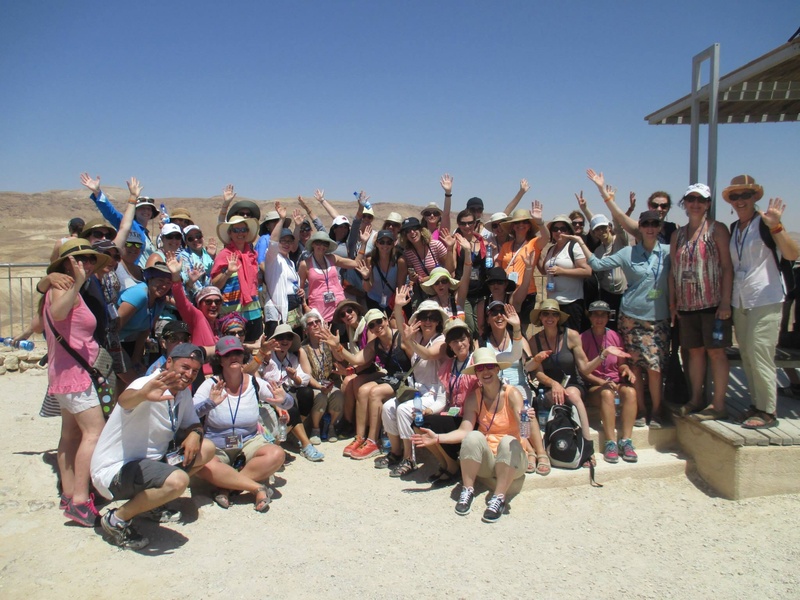 After this “baptism” if you will…we reboarded our bus and headed to Zichron Jaacov. A truly quaint little “artsy town, and restaurants to brilliantly introduce our stomach to the Israeli cuisine… Nili’s was a sweet little lunch spot where we sat en mass, enjoyed, laughed and bonded. Ten hours on a plan and 4 on a bus certainly brings people together! Then we were off to the hotel in Tiberias. A beautiful little town edged on the Galilee…and faced with the Golan Heights. Here we met up with all of the other cities, and the leaders for an opening night presentation and then To DECKS for Dinner. Our Leader and Founder of JWRP, Lori Palatnik dazzled us with her welcome speech…She spoke of the need for women to “raise the bar”! To be better, happier — And she meant it….She was dynamic and funny…and I for one was truly drawn in by what she had to say. DECKS was an incredible setting a large outside restaurant on the Galilee…we ate and enjoyed and hoped to dance and celebrate…As dinner drew to an end phones began to beep…CNN had just reported that the bodies of the 3 boys who disappeared a month had been found. Unfortunately they were not found alive…Tears swept through the restaurants. Israel is a small country, and frankly these three children belonged to everyone. As a group we joined together – arm in arm and began to sing songs – and pray for the boys souls and Our deep sorrow for their families…. It was a moving tribute – and one so obviously heartfelt. It really illustrated that this tour, this group, these leaders are really really making an effort (1 women’s or men’s group at a time) to make this world a better place. And I for one am all for that!! I can’t even describe my excitement. I leave in less than 38 hours….Frankly, I haven’t been able to spend much time savoring my impending departure because my children leave for camp in the morning. So I have been busy getting them ready! But after they leave tomorrow I will begin the countdown. As I began to pack I came across my little bag of wishes — Notes people have given me touring to the Wall, and find a home for them so that they can permeate into the essence, mysticism and the magic that everyone says they feel after partaking in this ritual. Even I sat down and wrote some notes….I wrote notes about (and to) my husband and kids, I wrote to my dad, I wrote about my brothers, and brothers-in-law, sister-in-laws, relatives, friends, MY MOM, I even wrote to my mother-in-law. But Mostly I wrote to the Man Upstairs himself….I wrote wishes and asked questions, and generally asked for a better world for our children and their children…. Everyone, and I mean everyone, tells me this will be an experience that I will never forget…and one that I will want to repeat over and over….I am ready for that..
To the women who are coming on this journey with me….Hold on! I am expecting the ride of a lifetime…. I feel like a girl about to meet her celebrity crush> Every day I wake up thinking of what is to come…and in just 20 days! Friday evening I went to temple to receive a blessing for my upcoming trip. It was a “family service” filled with children of all ages. The little kindergarten and first graders were an absolute delight. Their eyes bright and filled with hope of a future they can’t even imagine (Thought they are sure it is filled with candy and goodies). Then, they called those traveling to Israel. That was the college students leaving the next day along with Vicky (my friend and roommate on the trip) and I. I must say, I was overjoyed to be in the company of these “young ins”. To think we are about to embark on the same journey! We maybe not the same…but you know what I am saying. Anyway, the blessing was short and the Rabbi explained the purpose of it…and shockingly, I felt touched by it…It has just added to my feeling that I am about to walk the same path as so many before me…and absorb the lessons each footstep left behind….To say I am eager would be an understatement. To top the weekend off, Sunday we got the chance to meet the entire group (from this area that is – their will be about 200 of us total). And we watched a video about Israel, and talked with other women who have been so many times before. I can’t wait to share it alap with you! Wow, what can I say, the last year has been filled to the brim. I have experienced good and bad, Joy and sorrow, positive and negative events, love and disinterest….and I still wake up every morning believing it will be a great day. Ok not always…but mostly. Last summer we a new addition join our household….Nelly, the Tibetan Terrier. She has brought such joy and craziness – but no complaints. I never owned a dog before…It really is life changing. I have been luckier than some, I am still show no signs of a relapse…I have again lost dear friends to this brutal terrorist called “cancer”. So every day I count my blessings, while simultaneously feeling a twinge of “survivors guilt.” All natural I am told. My journey’s brought me to a new mindset. One that teaches me that I must take every opportunity to enjoy life that I can. Don’t just say you want to do something..Do it! And This summer I am doing just that! In September I applied to join 200 women from all over to take a journey of a life time. I will be going on a trip to Israel. A place I have always wanted to visit. 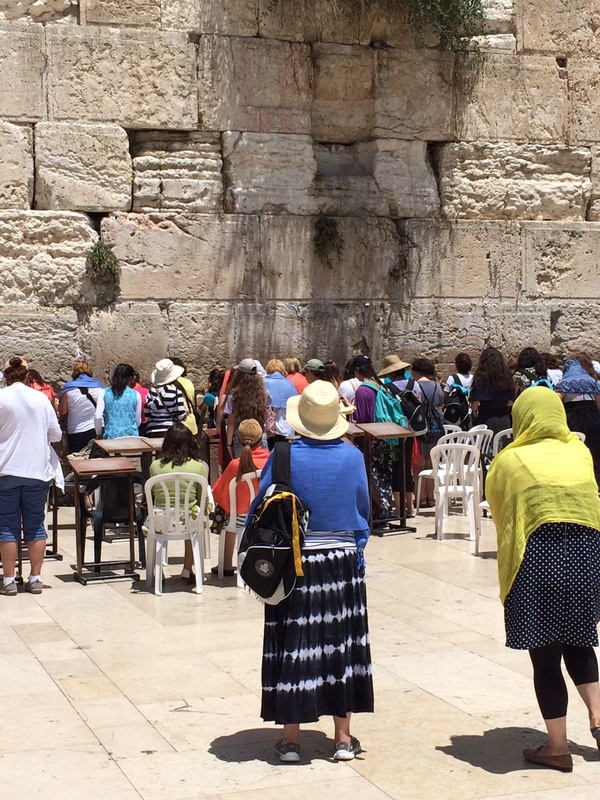 I was not brought up in an observant home, yet since I was a child I have heard that this trip is transformative…and I am told that the majesty of this trip is not felt just by Jews. Israel is the HOLY maternity ward to Christianity, and Islam (I think…don’t quote me on that one). This trip is meant to give us a connection to Israel first and foremost. To teach us our history, and explain some of our customs. Generally to really get in touch with our roots. Just know that while The Cancer Made Me Do the last blog…I will continue under the same name… Cause you gotta know that The Cancer had something to do with this also. I will find the humor, the laughs, the the touching, the spiritual moments…and share them with you all! As Carol Ann said in Poltergiest…. So sit back. relax, and enjoy the Blog! Playing For Pink, Irvington Puts Their Best Foot Forward – River Journal Online |.